But I’m back and I couldn’t be happier to write my next review for Miss Lee Hi’s brand new song, Rose! I love Lee Hi, since her debut with 1, 2, 3, 4 (you can read the lyrics here) I’ve been a huge fan. To me, Lee Hi’s vocals sound unique against the rest of the K-pop industry. She has a very soulful voice and YG have done a great job crafting a retro, R and B infused sound that matches her voice to a T. It also works because it sounds completely unique to the majority of K-pop’s biggest hits right now. Of course, the song has been highly produced but her sound sounds so much more authentic compared to a lot of the ‘clean’ songs. Anyways, I’m rambling now – check out her performance on Music Core above and read the review below! I think Lee Hi always looks cute. Yes you have haters that comment about her being short (wha…?) or that she never smiles but she’s a performer. She delivers emotion when she sings and connects to the music so for me, that’s not a problem. Lee Hi has looked gorgeous throughout the First Love promotion cycle, even with her It’s Over performances, although I think her current styling for Rose is absolutely beautiful. From the MV to each stage performance, she has served fierce silhouettes accompanied with bold colours and floral prints. I’m a stickler for a floral print. Lee Hi has never been a huge dancer when she performs. That’s not a bad thing; some people are singers, some people are dancers. However, I think the choreography for her Rose performances are beautiful. Her backing dancers always look so elegant and of course you have to love the drama with the male dancer. It’s nice to see Lee Hi getting involved with the choreography, I think it’s only a case of time before she takes a greater role in performing. But, you can’t fault her for being flawlessly elegant with every move! Lee Hi’s vocals are always perfection! I can’t get over how old she sounds. She has such a soulful voice – a voice that sounds old but in a good way. She sounds like she’s been singing for decades, her voice belies how young she is. I wish I could sing like her! I love the fact that Lee Hi doesn’t rely on a backing track or lip syncs any of her performances. She can sing softly and controlled but her voice is absolutely deathly when she goes for a big note. Nevermind being one of the best voices in K-pop, I think she has one of the best voices in pop music at the moment. The Overall Score for Lee Hi’s Rose performance on Music Core is… 5 / 5 stars! 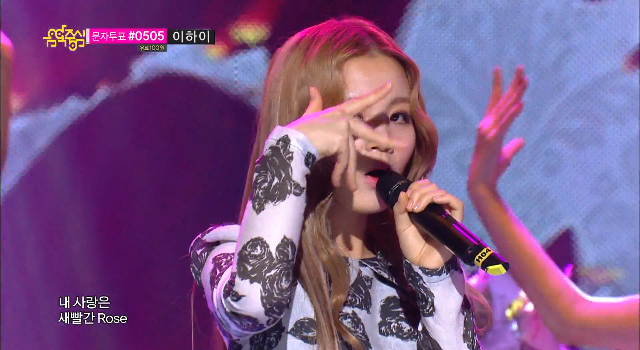 Lee Hi – Rose performance on Music Core April 20th 2013 – reviewed by K-pop Peach on April 20th 2013. Lee Hi is quickly becoming my favourite singer! Her performance of Rose on Music Core was amazing! She may not have won this week but she won in my eyes! SHINee are back with their latest single! 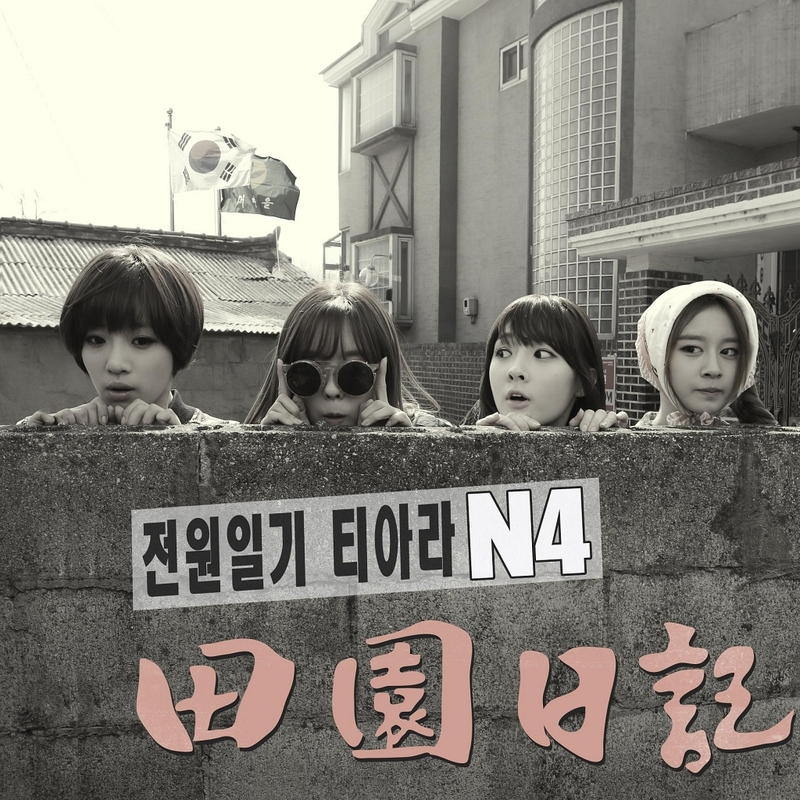 The infectious Dream Girl song saw its MVs released today. And for all you lucky Shawols, there’s not just one but two versions of the Dream Girl MV the normal version and a dance version. The Girls are back! 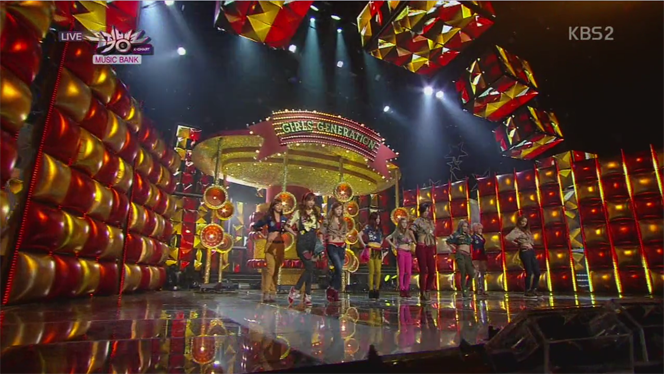 Girls’ Generation have returned with their infectious new song, I Got a Boy. Taken from their hit new album of the same name, I Got a Boy hit the top spot across all the music charts and became an All Kill instantly. 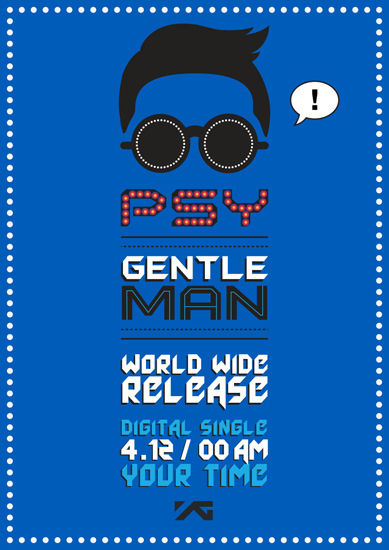 It’s been a while since the band had released a new Korean song so there was much anticipation for their new track and they didn’t fail to impress! Girls’ Generation have always been one of my favourite bands. They are flawless! They always bring their A game for every performance and I can never fault them. I’m really enjoying SNSD’s style for their I Got a Boy promotions. I love the bubblegum pop colours that they’re using. It’s also really nice to see them bring a bit more edginess to their fashion. They’ve been rocking some fierce chic outfits recently – especially for their Japanese releases – but I’m really enjoying this more urban look. But, as always, the girls give a little bit more for any S♥NE! Flaunting their toned stomachs was sizzling! SNSD hwaiting! Whoa, where to start! 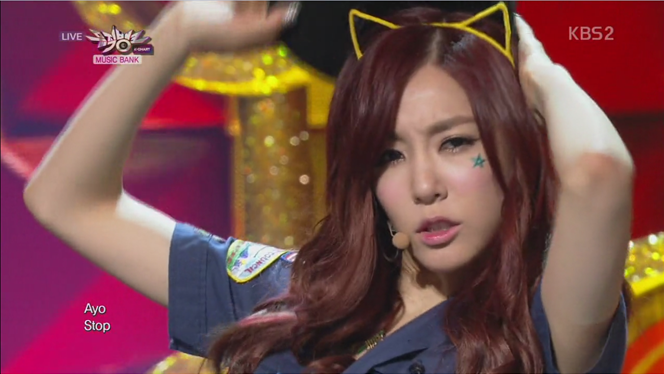 The choreography for I Got a Boy is fierce! I think they’ve really stepped up their dancing skills for this song. I love their routines – Gee, Oh!, Genie are some of my favourite songs. I even learnt some of the Gee dance routine. But I Got a Boy is taking it to the next level. It’s not just the dance routine, but also the whole staging and story that they tell. I Got a Boy has been criticised by some because the song has so many different elements. Just like the song, the dance routine is also made up of different dance elements – some cute moves (<3 Seohyun's aegyo) but also fierce dance moves. Girls’ Generation are popular for their many charms – they can dance, perform, are charismatic and with some members have some of the most powerful vocals in K-pop. Taeyeon, Seohyun and Tiffany are all widely praised for their strong vocals. Whilst I Got a Boy is more of a dance song, we still get to hear some pretty impressive vocals from Taeyeon, she has such a strong voice! The Overall Score for Girls’ Generation’s I Got a Boy on Music Bank is… 5 / 5 stars! 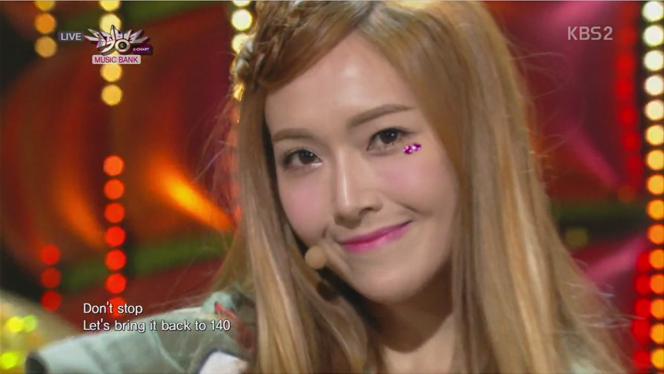 Girls’ Generation – I Got a Boy Comeback on Music Bank 4th January 2013 – reviewed by K-pop Peach on January 14th 2013. Another flawless comeback from Girls’ Generation! Killer dance moves, powerful vocald and enough charisma to stop a bullet train – the girls cement their place as K-pop’s most likeable girl idol group.